Join a guided tour of the "Caribbean of the North Woods." 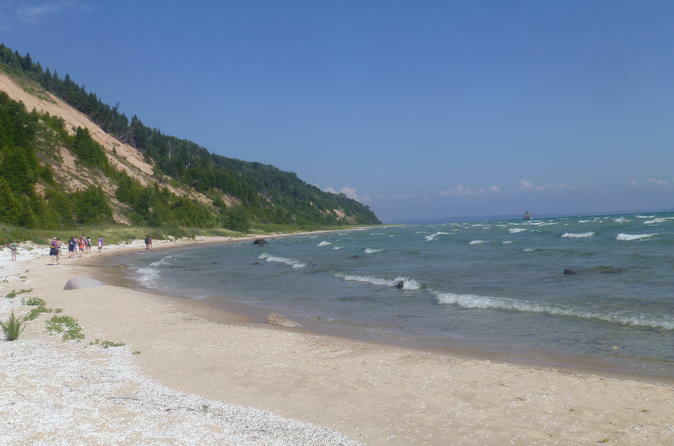 Available to small groups or private parties, this local day trip will help you make the most of South Manitou's crystal blue waters, rich forests, and sandy shores. 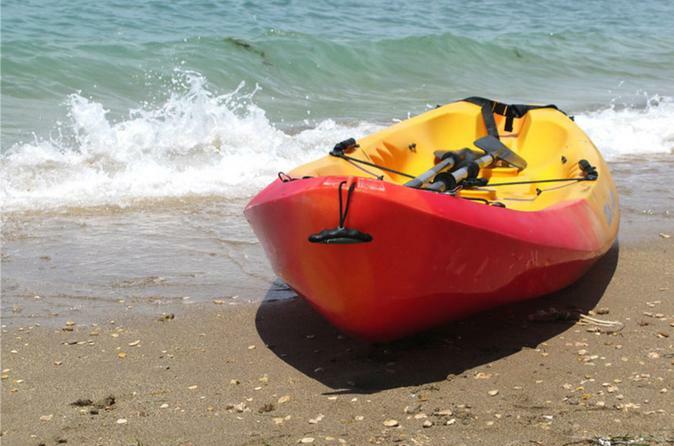 Take out a Kayak and enjoy a peaceful paddle across the tranquil waters of East Grand Traverse Bay. Have a need for speed? This operator has the adrenaline rush you’ve been looking for! Our wakeboarding boat has the perfect combination of power, handling, ride, quality of craftsmanship, comfort, and functionality. 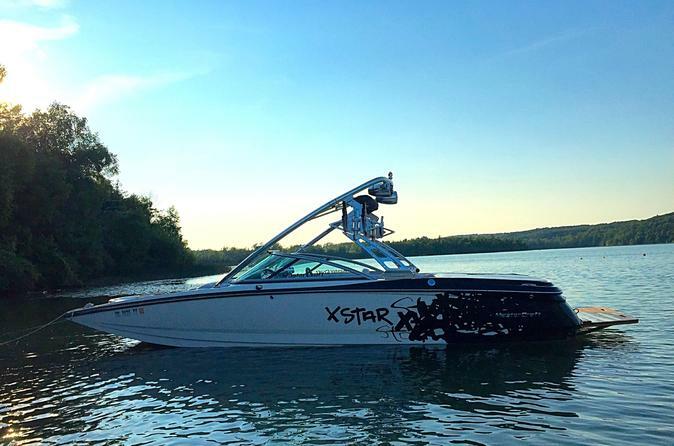 We should also mention that it creates the best wake ever for a wakeboarding boat? 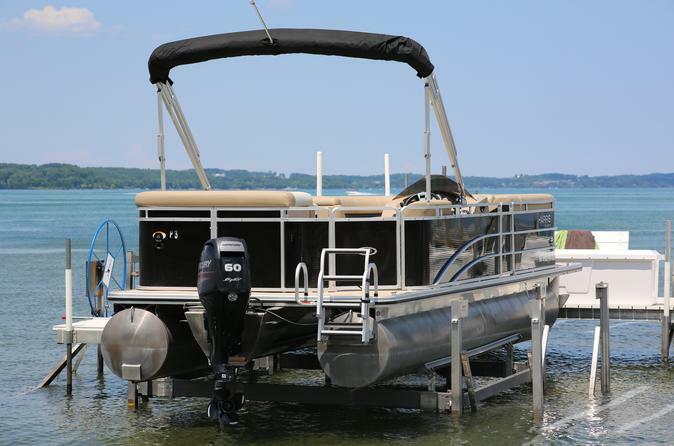 Do you need the capacity and versatility of a pontoon boat, but want the performance and feel of a ski boat? 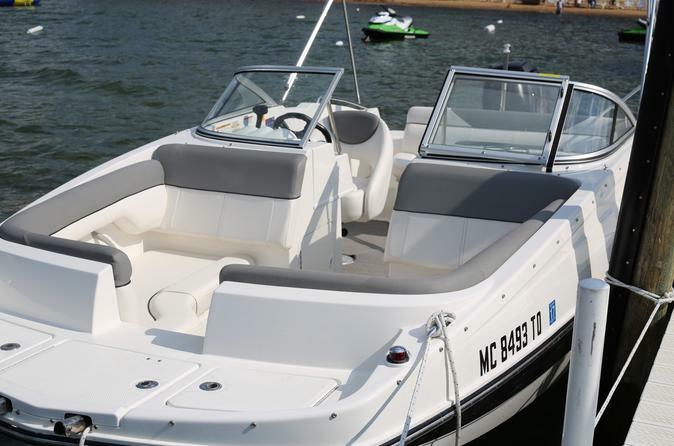 The deck boat is a great all around boat you can use for just about anything. Do you want the freedom to go anywhere and see anything, on the water? 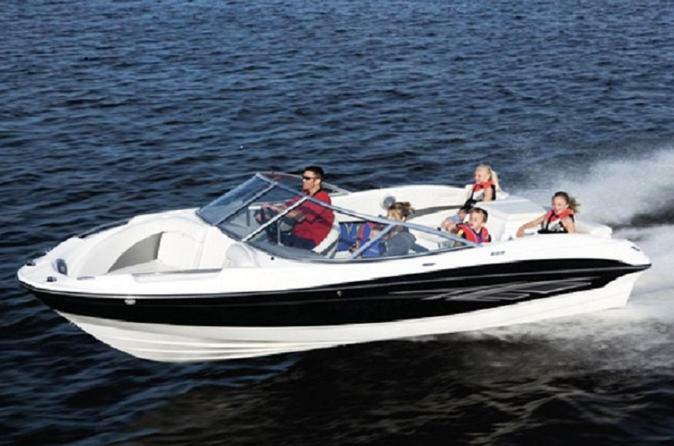 This operator offers top of the line Ski Boats to get you where you want to go! 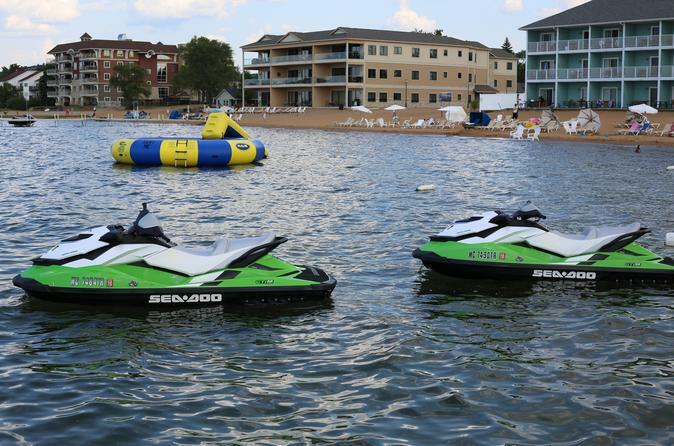 Guaranteed open water fun for all ages. 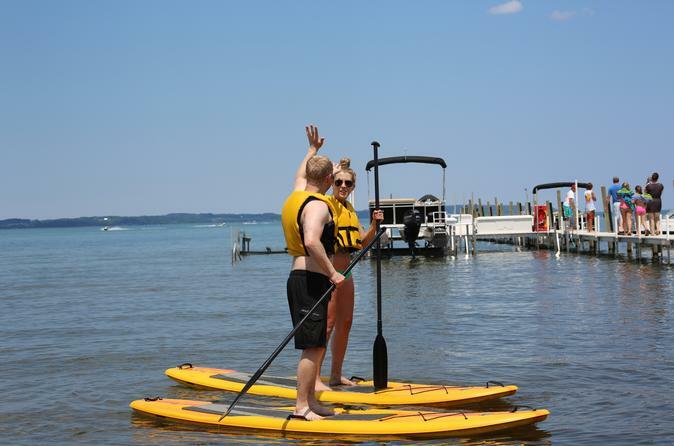 If you’ve never tried paddle boarding, it can be one of the most relaxing ways to enjoy the crystal clear waters of northern Michigan. Turn and burn through crystal blue waters in our very own pocket sized rocket ride. 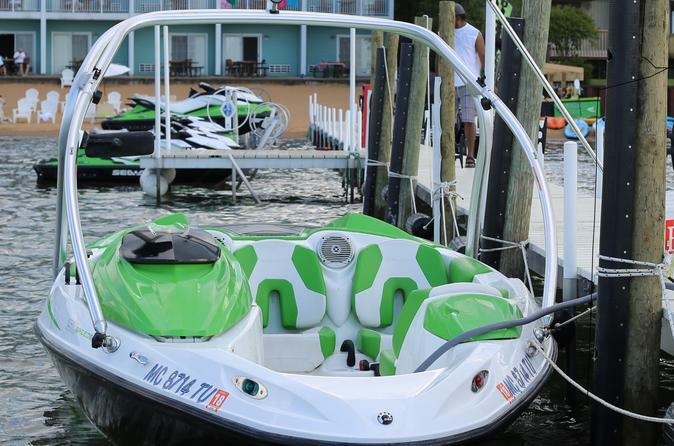 The jet boat seats 4 people, and is well suited for a small family, or a small group of friends. Straight line acceleration is awesome, with top speeds of over 55 mph. Looking for some R&R with your family or a group of friends? 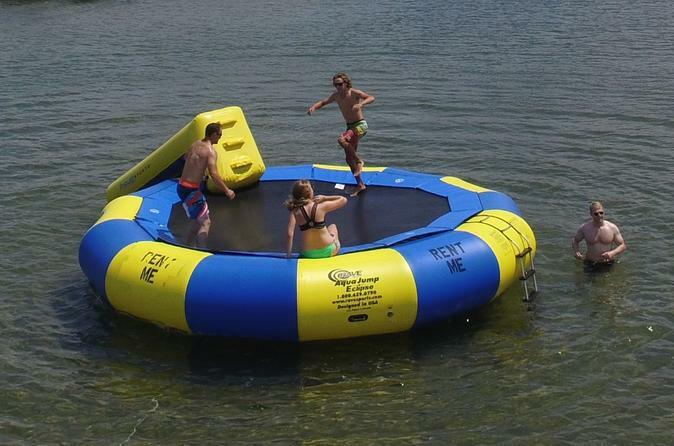 Why not grab some coolers and have a party on the water? Choose anywhere between a 4 hour and a 7 day pontoon rental. 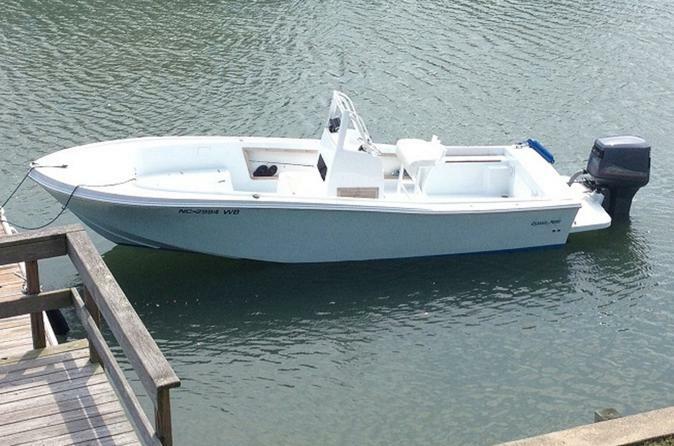 Usually a newer boat is better, but in this case, when we bought this fully restored gem we knew the new options just don’t compare to the original. Ask anyone who knows fishing boats, and they’ll tell you the same.